A spin on hummus using cooked chickpeas, this version tastes similar to the one we’re familiar with, but has an undeniable freshness thanks to the sprouts and soaked sesame seeds.Using sprouted chickpeas has a bit of an earthier undertone, and is a very different flavor than any other hummus I’ve tried. 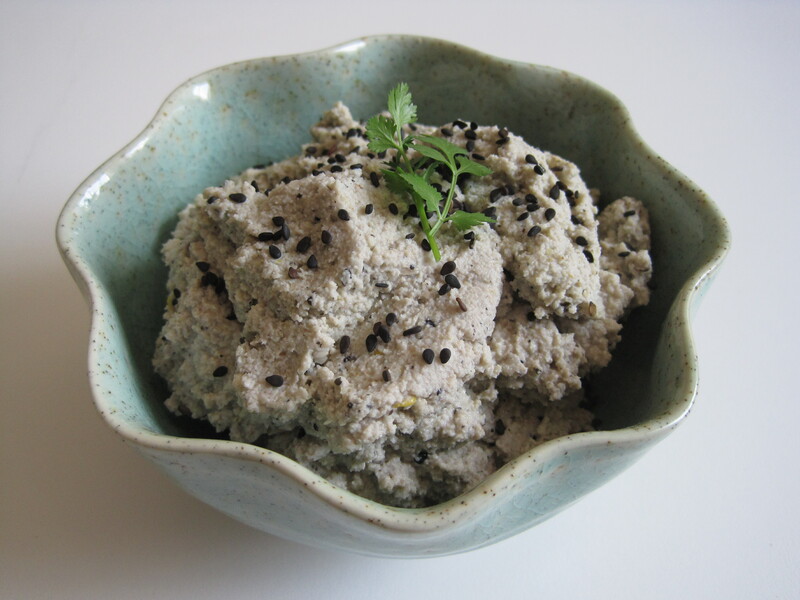 I like black sesame seeds for their richer flavour, but you can use white sesame seeds, too. Put all ingredients in a food processor. Process until smooth, scraping down the sides, if needed. Serve with anything! 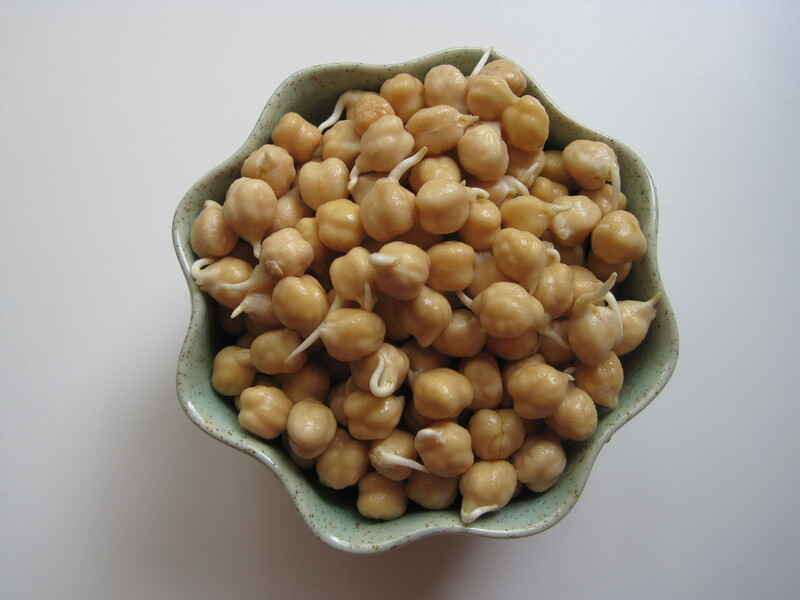 Note: To sprout chickpeas, put 1 heaping cup of chickpeas in a large bowl. Add about 3 cups water. Soak about 12 hours. Pour the chickpeas into a colander and rinse well. Set the colander over a bowl and let stand at room temperature for 1 to 2 days, rinsing every 6 hours or so. You’ll notice sprouts will begin to form; they’ll be best to use when the sprouts are about 1/4-inch long.